After receiving Professor Kingsnorth’s “The Rare Earths Industry: Marking Time” to be summarized by InvestorIntel, Tracy Weslosky the Publisher of InvestorIntel asked me to read the latest issue of Professor Kingsnorth’s review and to describe its salient points and conclusions for InvestorIntel’s readership. Because I knew that Professor Kingsnorth was a featured speaker at the recent Critical Materials Conference organized by the Colorado School of Mines and the local (to the Colorado School of Mines) SME chapter I looked at the program carefully and noted the exceptionally interesting presentation by Alkane Resources. I am going to try and review both Professor Kingsnorth’s report and the Alkane presentation together, because the one (Kingsnorth’s) Illustrates how the problem of critical materials is being approached academically and the other (Alkane) illustrates a very good practical solution to what I call the geographic and geopolitical issues in the selection of critical metals (My views on these issues are stated in my most recent article for Investor Intel). Professor Kingsnorth’s review is, in my opinion, not designed for the small investor with a short term outlook. It discusses briefly but succinctly the recent 21st century history of rare earth’s production and current end uses, i.e., current sources of supply and demand, and extrapolates these metrics to the near term of 2017-20. Professor Kingsnorth does describe the supply situation in the non-Chinese world as eminently able to satisfy any near term non-Chinese demand for the light rare earths but he only mentions two rare earth juniors, Northern Minerals and Avalon in a discussion of where in the ladder of ten steps, which he defines as the steps to commercial rare earths production, current juniors should be placed. I have to assume that he is telling us that these two juniors are his selections as the furthest along in development of the current crop of juniors. If so then I disagree with that conclusion. I know of at least three North American juniors that I think are further towards development than Avalon. I reserve judgment on Northern, a very excellent project, because I don’t know enough about it. I do however judge Alkane to be the closest to SARP of HREES and Nd and Pr of all of the REE juniors in the southern hemisphere, so I am in agreement with Professor Kingsnorth there. The Kingsnorth study concentrates on the supply situation in China which has an extensive and well informed discussion of the ongoing and current consolidation of that industry and how that might affect the global rare earth industry. A considerable portion of the report is taken up by a discussion of the Australian Critical Materials Initiative, which has been established at Curtin University in Perth for the purpose of developing total critical metals supply chains within Australia in order to create new industries and jobs in Australia. The report concentrates on the rare earths, which Professor Kingsnorth describes as prime examples of critical materials. I think that it is an important description of the state of the REE industry in China and in the southern Hemisphere, and it is certainly an eye-opener with regard to the critical materials atmosphere in Australia. Note here in my article referenced above I defined critical materials in such a way that the rare earths do not today qualify as such in Australia. I certainly support Professor Kingsnorths’s work in trying to create an Australian total critical materials supply chain. His Institute is certainly a good way to bring the issue to the attention of the Australian populace and government. What I took away from my reading of the Alkane presentation was that Alkane is a perfect example of what I would like to call the “right business model.” It is certainly today the best organized and furthest along of any polymetallic junior specializing in strategic and critical materials. I have little doubt of its financial success. Alkane defines synergy in processing technology. Solvent extraction is mostly used and has been used for some time in the processing of zirconium (and hafnium) as well as of uranium (and vanadium), so that Alkane will be able to utilize its operational management team both in its zirconium processing and its rare earth processing projects, the fact that Shin-Etsu will separate Dubbo’s REEs does not obviate the need to get a compatible feed stock form of PLS to Shin-Etsu from Dubbo. In fact I would guess that part of the attraction of Alkane to Shin-Etsu is this management depth. Alkane also has the rare feature of being able to mix and match output products as the market demands while still maintaining a low breakeven. This is an especially attractive feature when dealing with the price and demand volatility of the rare earths. Noted here is that I think that Professor Kingsnorth is too optimistic in his near term REE demand forecasts. I also note that the supply of magnetogenic REEs is not only to satisfy demand but also, much more importantly, to generate demand by tackling the security of supply issue outside fo China. This was certainly a prime driver for Shin-Etsu’s involvement. I have more than a passing familiarity with the ferroalloy business, and am impressed by the choice of partner for niobium processing to end-use that Alkane has made. The same applies to its zirconium project. My colleague, Dr. Gareth Hatch, who has visited Dubbo and also has seen the work being done for Alkane at ANSTO. He told me that both were very impressive projects. I hope to make the same visits later this year or early next year (Note that summer in Australia is winter in Detroit!). Alkane is a world-class polymetallic critical and strategic materials play. I wish there were more like it. Only the future will tell if Australia can host a total strategic/critical materials supply chain, but for the present I think Alkane is a sure global winner. Thank you Jack. And yes, it is true — I am intent on dismissing the rumors of a Lifton-Kingsnorth dispute once and for all…today, at this moment in time. Professor Kingsnorth graciously submitted “The Rare Earths Industry: Marking Time” for our editorial team to summarize and publish. I ‘felt’ that out of all of our columnists, journalists and experts that it was high time that Jack reviewed Dudley’s latest forecasts on the sector — because he might actually understand what this ‘scary smart’ pro in our sector is actually trying to say…being one himself. For an industry that deals with magnetic materials — I have learned that the power to attract can be just as forceful when intent on the opposite. After more than one dinner with both Dudley and Jack, I actually believe that they would have a great time together — if we could just knock some of the people that like to stir the pot out of the middle. I would like to recommend that Jack and Dudley dine alone together when Jack is in Sydney next: and yes, I am paying. There is no equivocation when it comes to disputing Mr. Lifton’s expertise on REE mining. There is however a situation concerning his previous stand regarding Great Western Minerals three years versus today that I would appreciate clarification. In 2011 Mr. Lifton could not stop extolling GW’s position as the best positioned junior to be successful outside China due mainly to its business plan of vertical integration. Currently the stock has lost 75% of its value and I never hear word one from Mr. Lifton about Great Western regarding what went wrong. I assume it’s because the company’s increased debt but but I’d so appreciate his opinion now on GW’s status and prediction for its future. Kitjean, it’s not Jack Liftons fault if GW management failed to execute. GW were one of the pack leaders a few years ago. Compare them to Northern Minerals who were no where 3 years ago. Northern Minerals management team has continued to deliver, and now are only one major approval [the Environmental which is expected by end September 2014] away from being a company simply needing funding to get their HRE project into production. Simply an outstanding effort by all the people working at Northern Minerals. It’s with good reason Professor Kingsnorth mentioned Northern Minerals in his report. You make a good point Tracy. Northern Minerals would simply need off take agreements before simply needing funding. Trying to sell a mixed HREO at exorbitant prices will not aid in there quest to simply get off take which I’m turn would mean the company would simply struggle to get funding IMSO. Mr Lifton has declared Northern Minerals a “winner” and yet he confesses in the article above to not knowing much about the company. I also got a laugh from the word “simply”. If they don’t have any simple sources of funding, I’d try something resembling streaming, similar to Silver Wheaton and Franco-Nevada, with a manufacturer such as GE or one if the bigger Japanese manufacturers. Also with potential raw material consumable suppliers for use in 3D printing, while that market is still young and easier to enter. Northern Minerals have relative low capex requirement, operate in a low risk location, provide exposure to high grade HRE, and have a relatively simple processing flowsheet and conventional mining operation. Unlike many in the sector Northern have been fortunate in having had no problems raising money – including the recent announcement of interim bank funding of $6M. Actually the way I understand it Northern are yet to deliver their “simply” full Feasibility Study, due end 2014. Will be interesting to see how they qualify the sales estimate of $724kg for Dy in 92% mixed concentrate from the Pre Feasibility Study , as against comments from Patrick Wong elsewhere here. Equally to qualify the balance of suite value which was simply applied as a “by-product” offset of $98kg against CoP, despite being part of the very same mixed concentrate. Is it the Environment Protection Authority paying $724kg for Dy in 92% mixed con? There was an article that came out on Seeking Alpha that Ben Kramer wrote on Geat Western Minerals August 12th that was extremely uplifting. Jack Lifton is paid by a few companies to bring in investors. I only accept consultancies or board memberships with companies that seek my advice on rare metals processing and marketing; I am a business operations advisor. I am not a rainmaker. the market’s ability to absorb their products when they are produced, at the levels produced. If I cannot say anything constructive about a natural resource venture I try not to say anything. Note please that business models that are good one year are not necessarily good the next year. I really think my criticism of Molycorp is constructive. I’m certainly not the only one who thinks that Molycorp is in need of restructuring, and I hope that institutional investors are now realizing that their emphasis on Molycorp has been counterproductive to the development of a national and/or regional non-Chinese rare earth total supply chain in the northern hemisphere.. We don’t need a giant-sized (actually way oversized) producer of light rare earth raw materials in the USA; we need several right sized rare earth producers and processors covering the total spectrum of rare earth production, separation, metal, alloy, and fine chemical production to supply a end-user product industry making specialty alloys, magnets, lasers, catalysts, and phosphors. I’m all for integrated total supply chain operations, and I now think that separation technology has advanced both technologically and economically to the point where we can certainly have more than one total rare earth supply chain operation outside of China. The total volumes of heavy rare earths to be processed today along with the economics of solvent extraction as we know it make central processing facilities for them attractive, but it may well be that separation technology can be tailored in such a way that the break even for a dedicated separation plant is much smaller than it has been. Cheers guys, this is good! 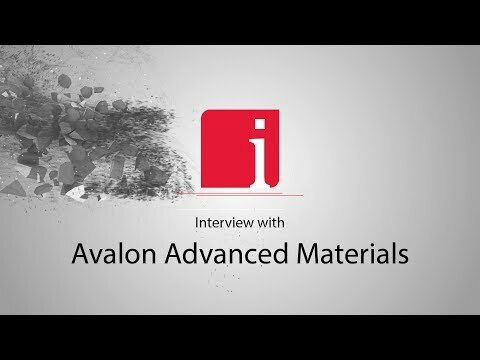 Professor Dudley Kingsnorth’s expert analysis on Avalon Rare Metals, as one of the leaders towards production, is absolute perfection. ….. “he only mentions two rare earth juniors, Northern Minerals and Avalon in a discussion of where in the ladder of ten steps, which he defines as the steps to commercial rare earths production, current juniors should be placed” …. I guarantee Avalon is not at the bottom of the ladder, lol. As Jack stated “I have to assume that he (Mr. Kingnorth) is telling us that these two juniors are his selections as the furthest along in development of the current crop of juniors”. Let me know when Avalon succeeds with their all equity $1B+ capex financing, I would love to see this. Solvay will process Avalon’s rare earth concentrate into pure rare earth oxides for an anticipated period of 10 years from the start of deliveries to Solvay’s rare earth separation and refining plant located in La Rochelle, France (Toll Agreement). I couldn’t find the agreement on SEDAR, but I’m almost sure Solvay has the right to switch to other projects which achieve full financing earlier. As you maybe know, REE oxides are tailormade according to very specific customer demands, and customers only buy from long term trusted refiners for that reason. Therefore, all leftovers sold by other parties aren’t of much value. This is why Dacha Strategic Metals lost it’s value over time, when investors started to realize this. So Avalon is indeed first at many aspects of the race, but it all comes down to succeed in financing their project, and as it isn’t and will not be very profitable and they failed since May 2013 to arrange any debt financing (and switched to all equity which is nonsense for a $1.5B capex AND a $1.1B capex > 20 fold dilution). In a discussion of where in the ladder of ten steps, which he defines as the steps to commercial rare earths production, current juniors should be placed – Avalon would be closer to the bottom than the top. I remembered having this exact same conversation on Seeking Alpha. As LeBron James marketing machine is saying ” We Are All Witnesses”. Time will tell who are the junior winners. My bet is on Avalon. Why not Quest rare minerals? Don’t you see them in the same boat essentially? •	Several companies have completed Prelim Feasibility Studies (incl. advanced processing studies) in the past 6-9 months, so with reference to Figure 3 on page 20, I would include Rare Element Resources and Peak Resources, probably going with a line as far as the middle of Step 6. Note in the case of these 2 projects the rare earth minerals are well-known as a source of rare earths, presenting less risk to customers. Others may have a different view, but that is what your forum is all about. •	Curtin-IMCOA is now forecasting global demand in 2017 of 152,500t REO and 190,000t REO in 2020. •	The market is still being driven by the magnet sector – if it were not for the recycling of swarf from magnet production there would be a real shortage – Dy demand has fallen due to the new technologies with which we are all familiar – but we are still 100% dependent upon China. •	The true impact of LEDs is really unknown – I understand that demand in China for the phosphor rare earths fell from 8,000t in 2011 to 4,000t REO in 2013. Our forecasts, for phosphors and pigments, have demand falling from 9,000 in 2011 to 7,000 in 2013 and flat-lining at this level through to 2020 – but it could be less – we will just have to wait and see like everyone else. Once again, with this sector we are still 100% dependent upon China. Allowing for environmental approvals, construction and start-up I do not see ROW becoming self-sufficient in phosphor rare earths until 2019/20. Thank you Dudley for the above notes. I will try and get to a summary on the revised slides that you used in Denver this week. Dudley there appears to be some question over the later part of that statement despite the anecdotal evidence, I wonder if you would care to expand? Interesting, someone who calls himself “TCI” is literally copy pasting my own comments, made earlier at Seekingalpha.com. I have nothing to do with this person, neither do I approve this. Bill, at least you have good intentions, but if you want to quote me just quote me (preferably with the source), and don’t impersonate me. Besides this, it is apparently allowed to post in here using multiple aliases? Not sure what to think of it. As many multiples as there are forums actually. Talking about one and the same forum (this) of course. But I agree on Northern Minerals, their Dy price is nowhere realistic, IRR drops below 20% when using current $320/kg. In my view, NTU will be taken privately before capex financing, they already have over 50% Chinese shareholders (Conglin and friends, closely related to state enterprises). Please see links below and maybe check on a post I put out in October or November last year about Sukulu, on which Mr. Jack Lifton commented. Both links mention that Uganda will be producing rare earth minerals – meaning that Uganda will be first in Africa, and first in much of the rest of the world outside of China, to produce rare earth minerals. What maybe a bit uncertain is the amount that the second link quotes – 100,000 TPY of REOs. This is very huge, I think, even humongous. And if you saw my post of last year which talks a little about Sukulu’s REE distribution, you may understand why, if indeed the 100,000 TPY of REOs figure is correct. This rather difficult to understand link below seems to include scandium, niobium and tantalum as well and seems to confirm the 100,000TPY figure. I can offer you a low price for the Sydney Harbour Bridge if you’re interested.